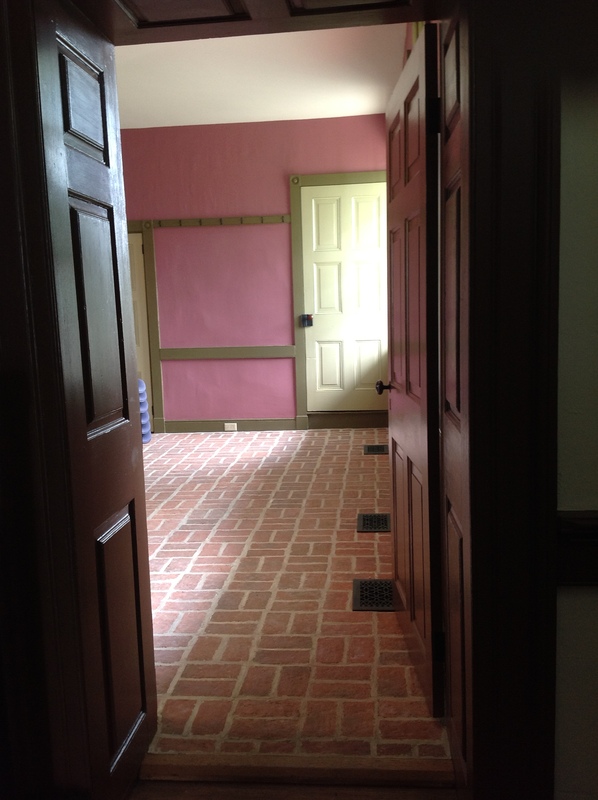 This past weekend, Emily and Julie went to visit Harvest Moon Farm, the home of some of our customers. 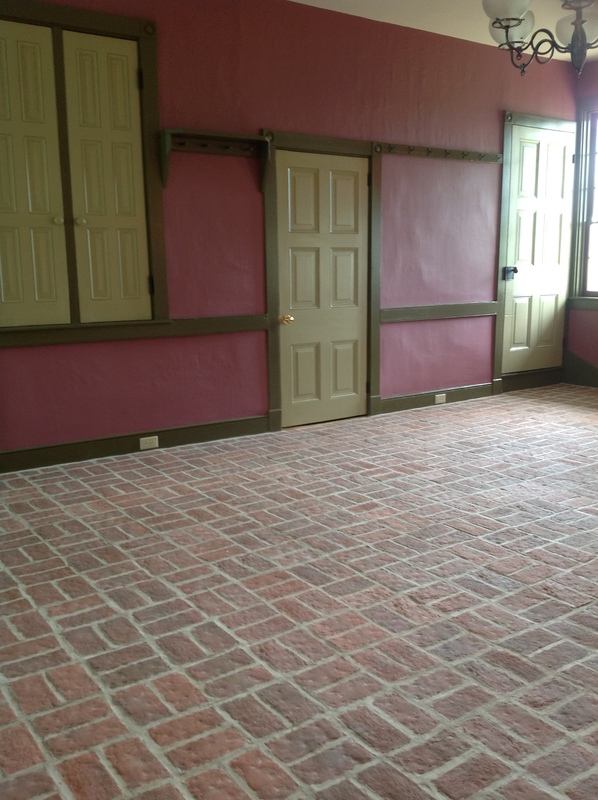 The beautiful horse farm is tucked back in the woods outside Coatesville, PA, and we were lucky enough to have fabulous weather to photograph indoors and out. 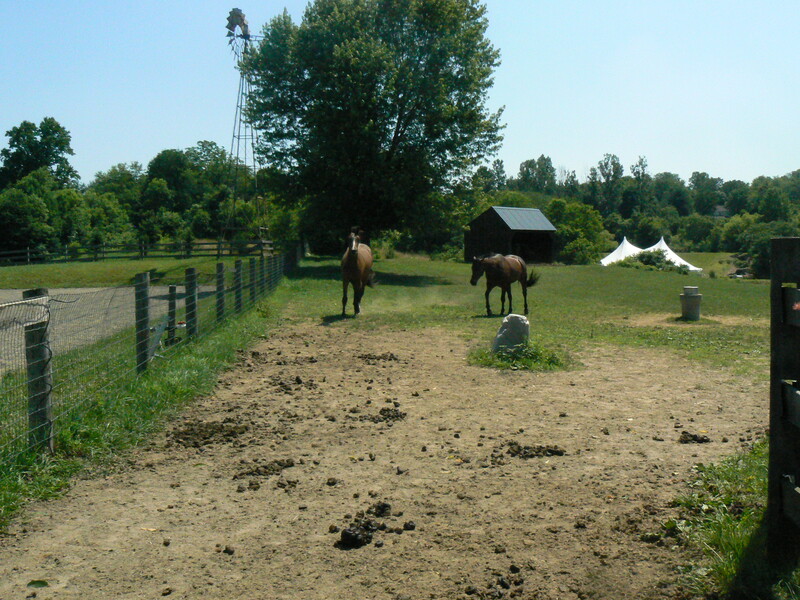 A few of their friendly horses. 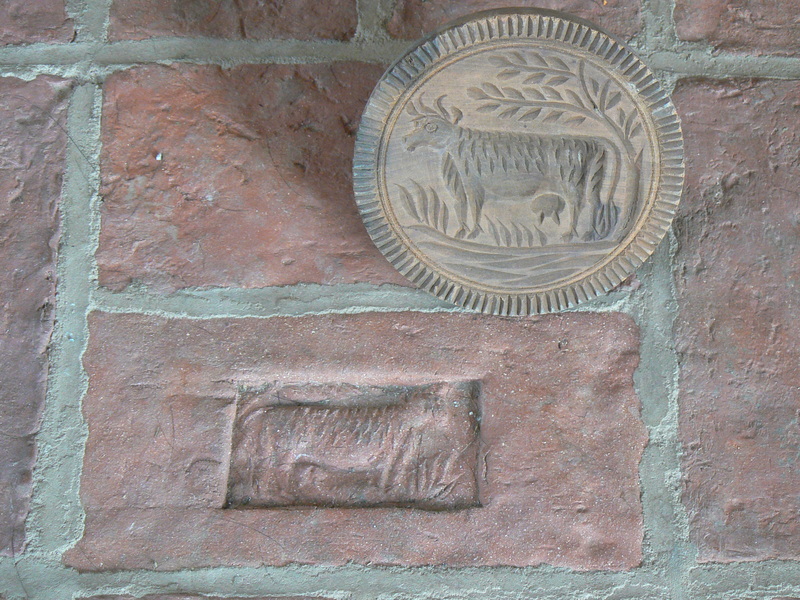 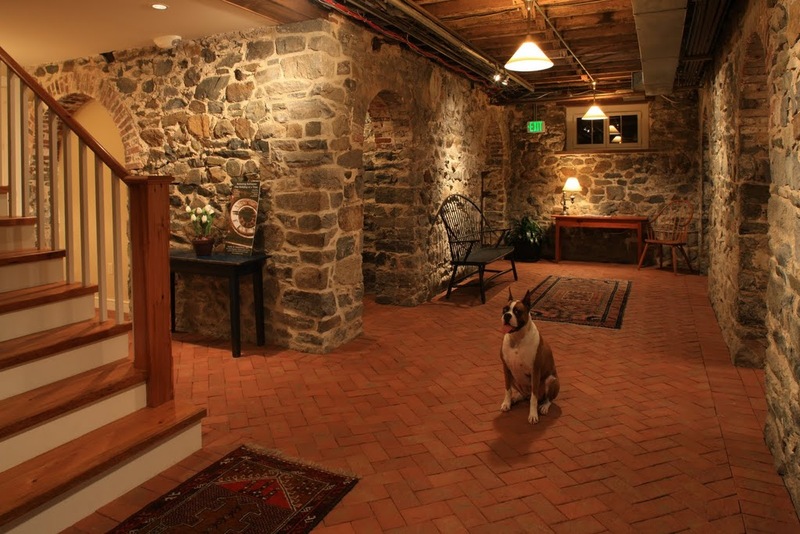 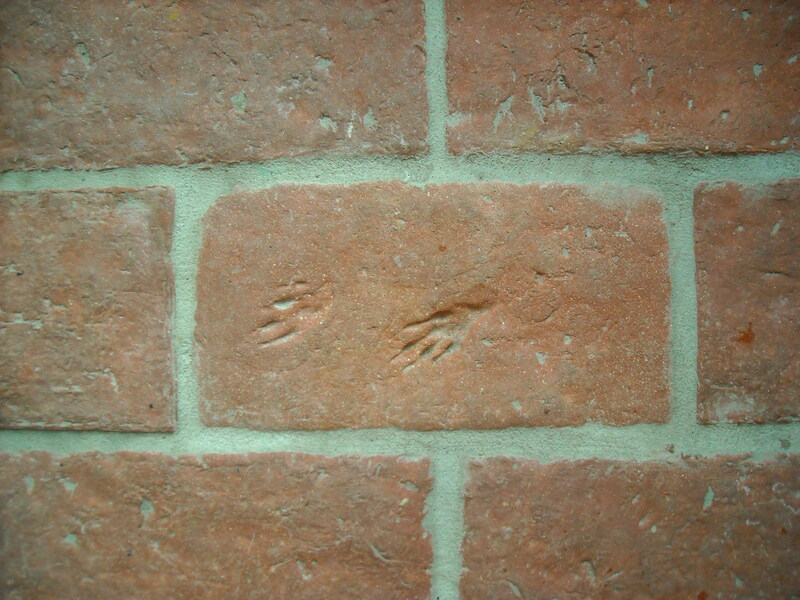 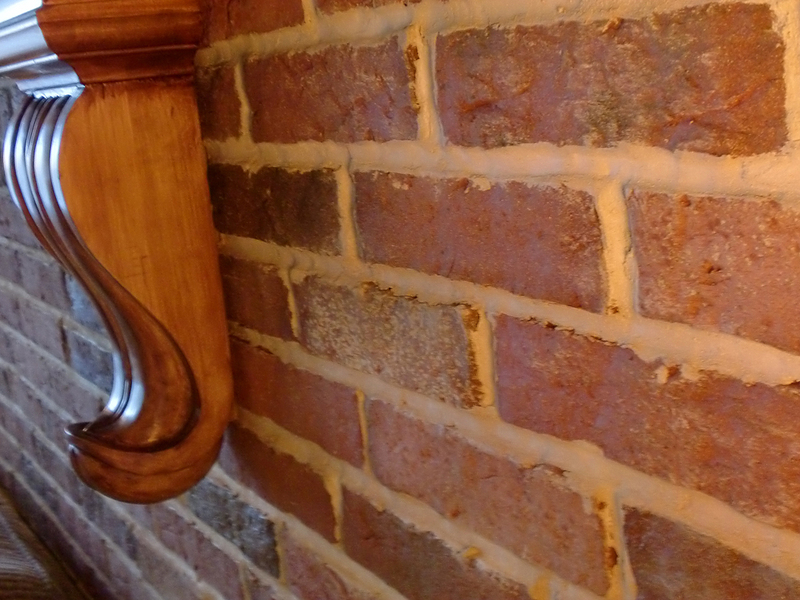 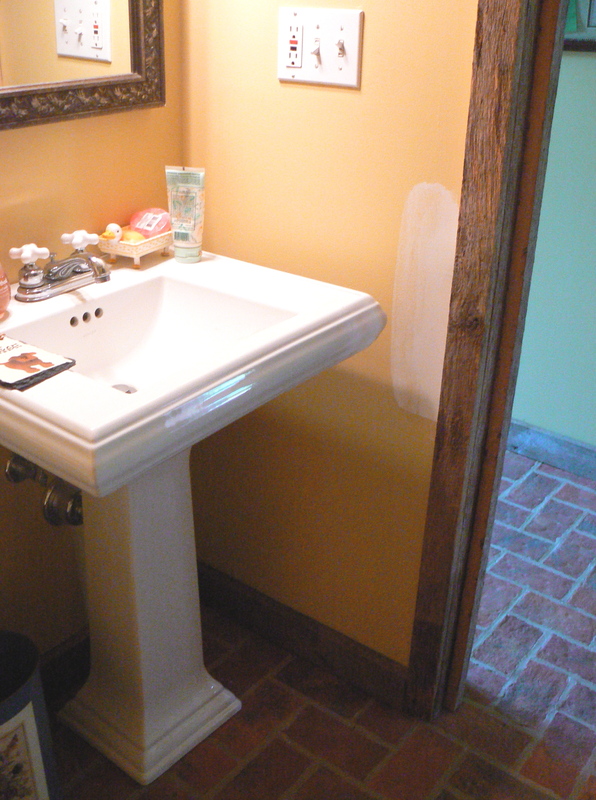 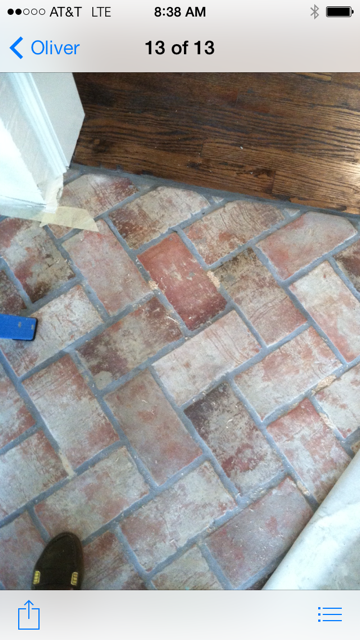 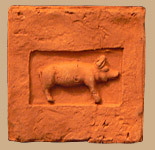 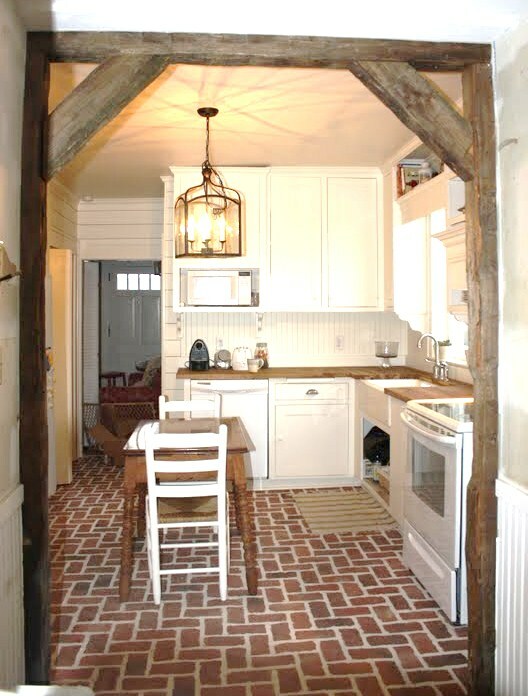 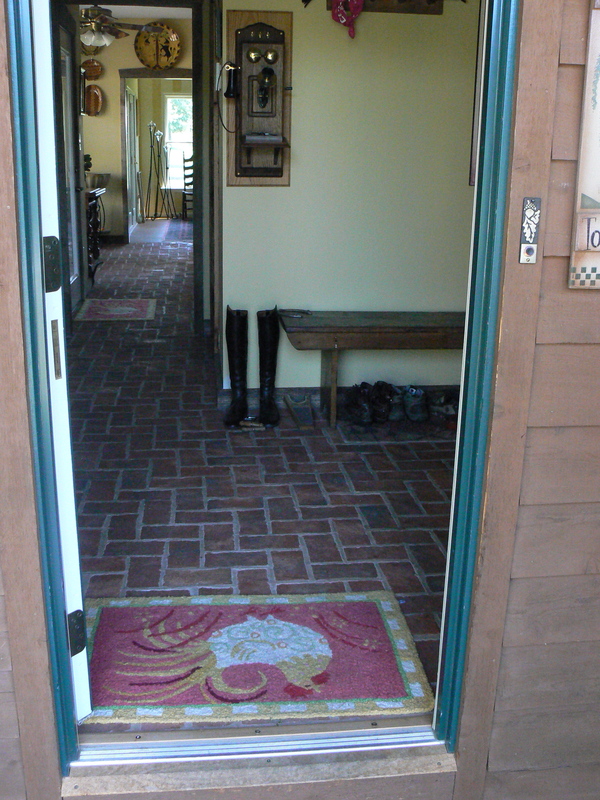 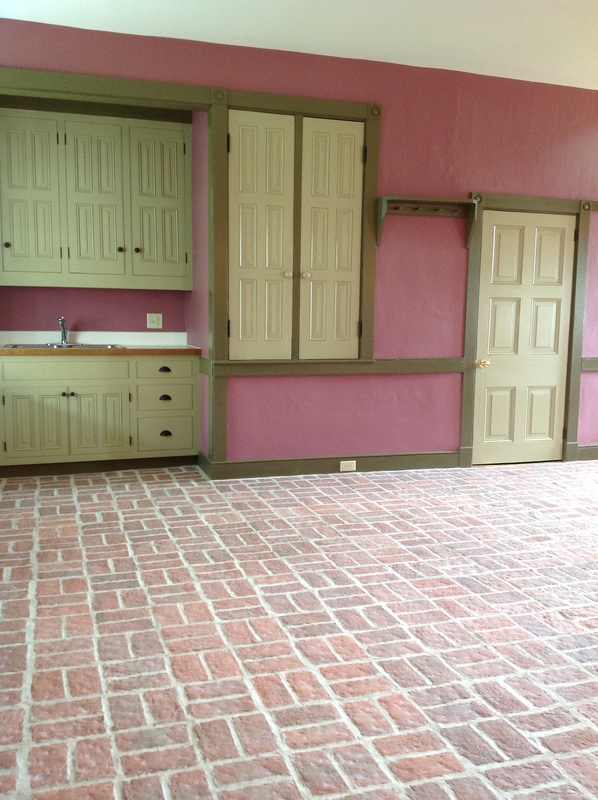 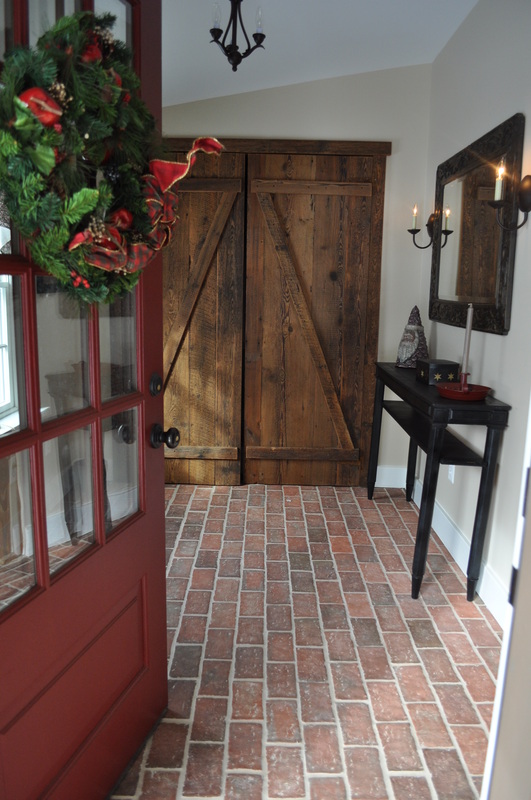 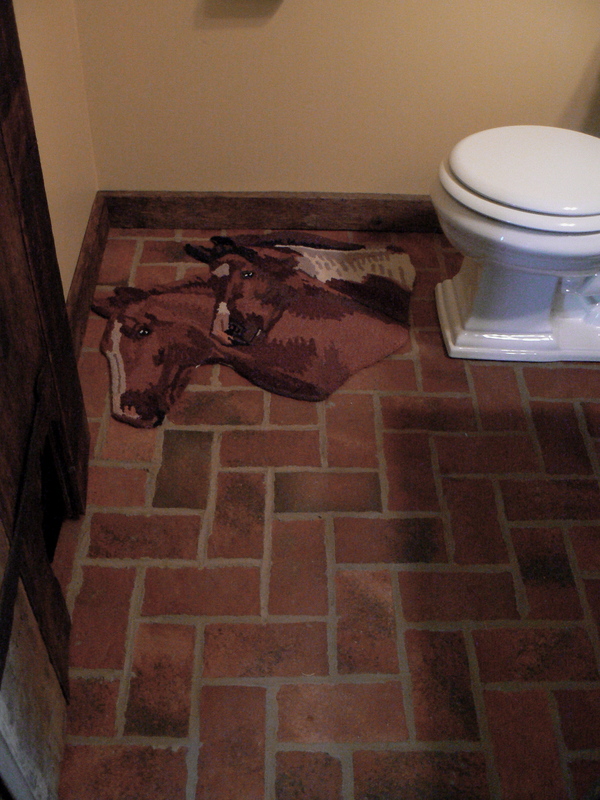 The Harvest Moon farm installation used Wright’s Ferry 4×8″ brick tiles in Marietta color mix, across their entryway, into a powder room, and throughout their kitchen. 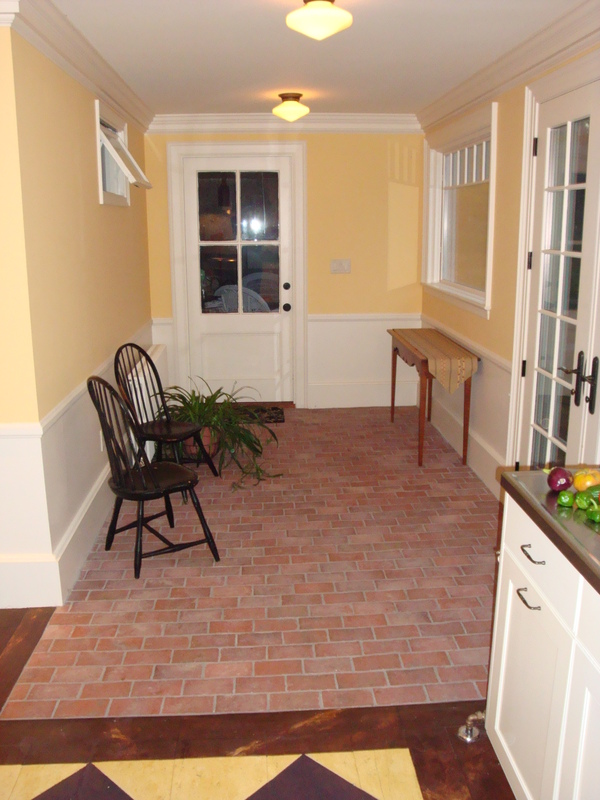 We start looking in the front door at the brick tiles, their herringbone installation pattern stretching out into the kitchen area at the far end. 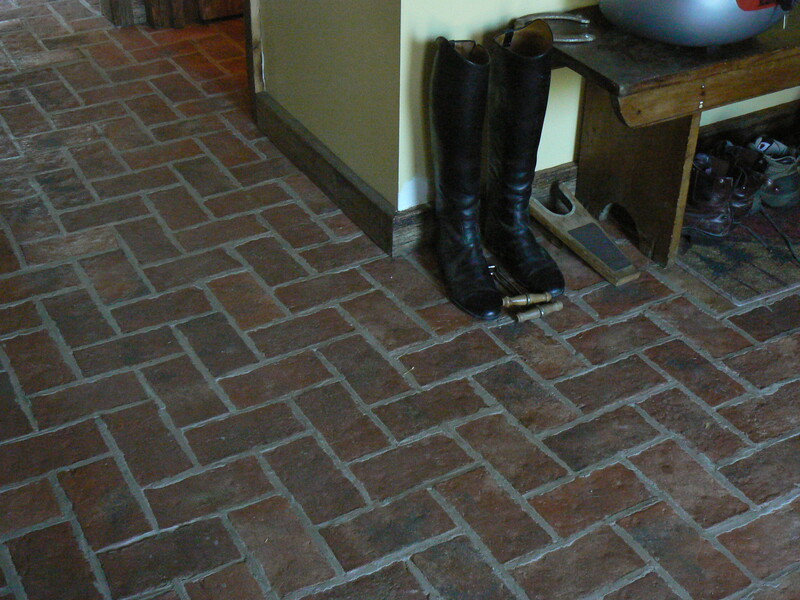 Here, a close up of the floor and a pair of riding boots. 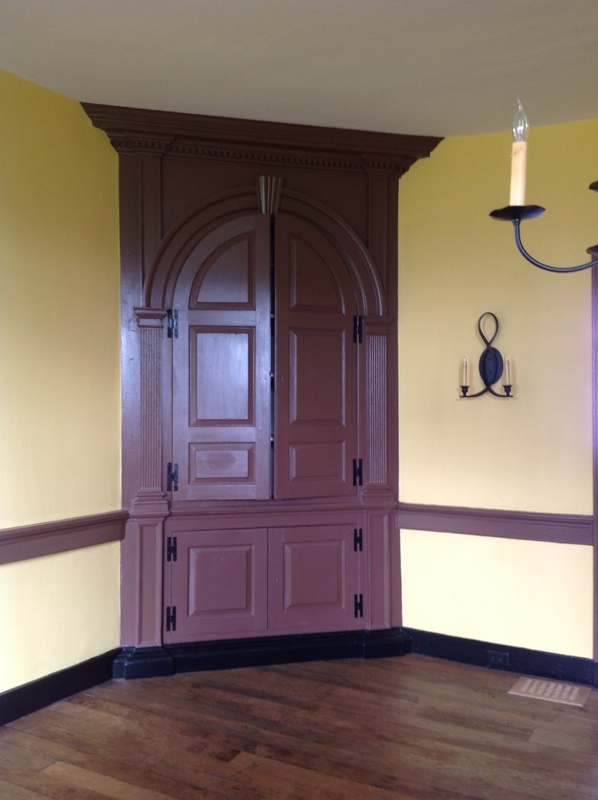 A side view of the entryway, the front door, and a lovely wardrobe. 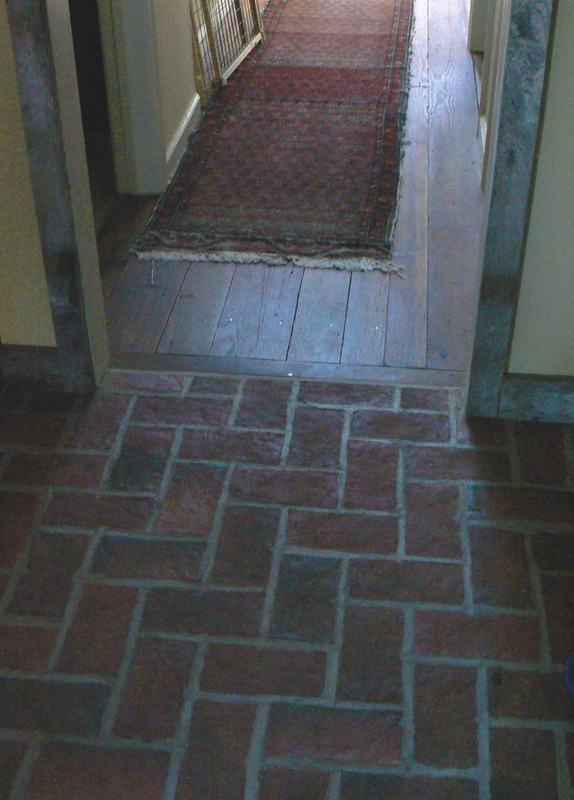 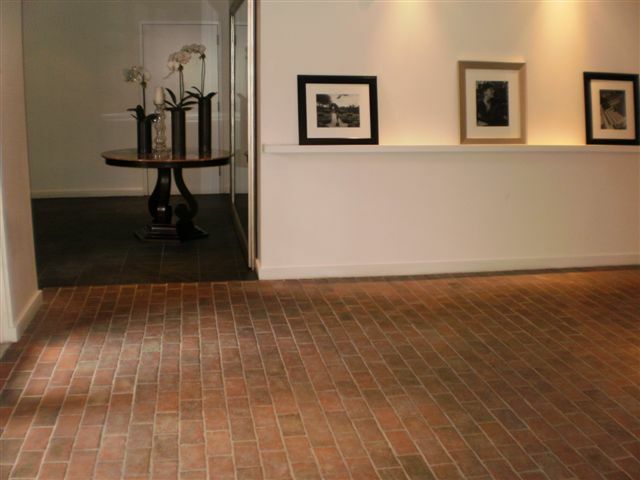 Part way down the hallway, our thin brick tiles make a foray into the powder room, where a horse rug complements the thin brick flooring. 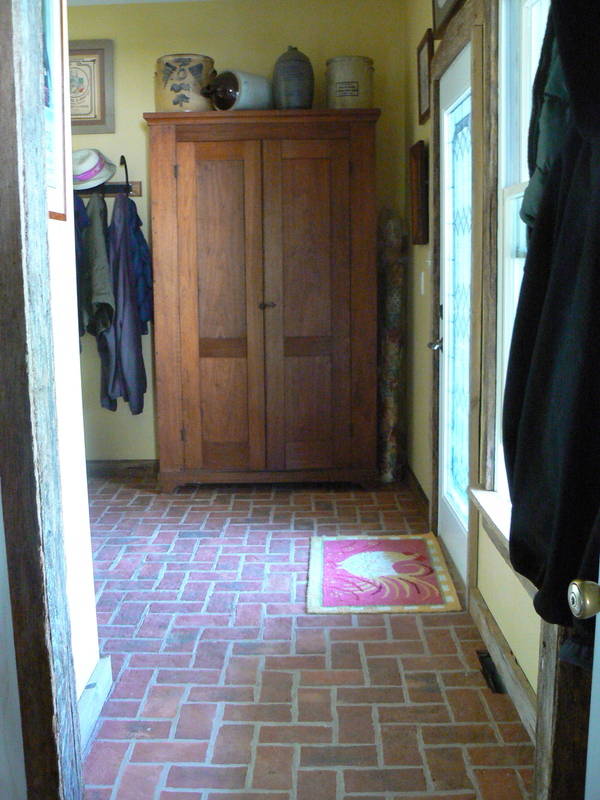 Also, looking back into the hallway from the powder room. 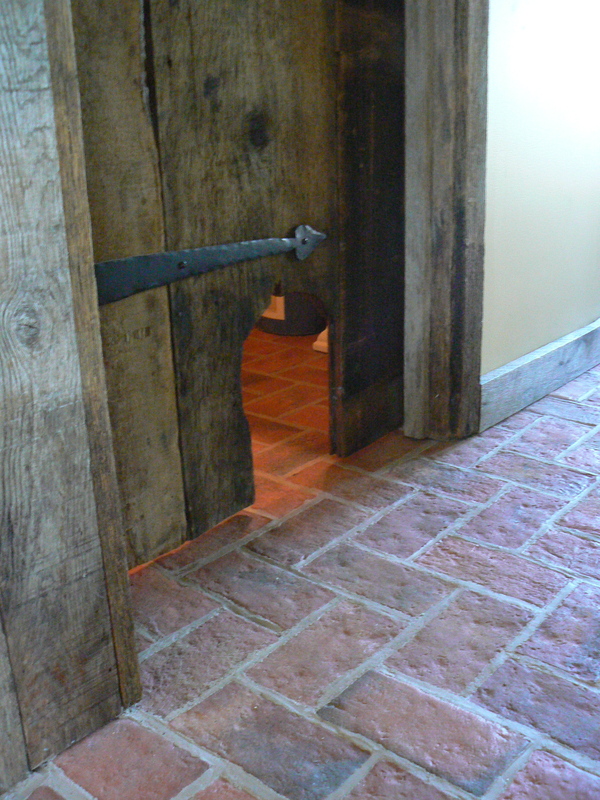 The powder room door, made of reclaimed wood from the 1700’s, has a notch in it to allow the home’s Jack Russell terriers free access. 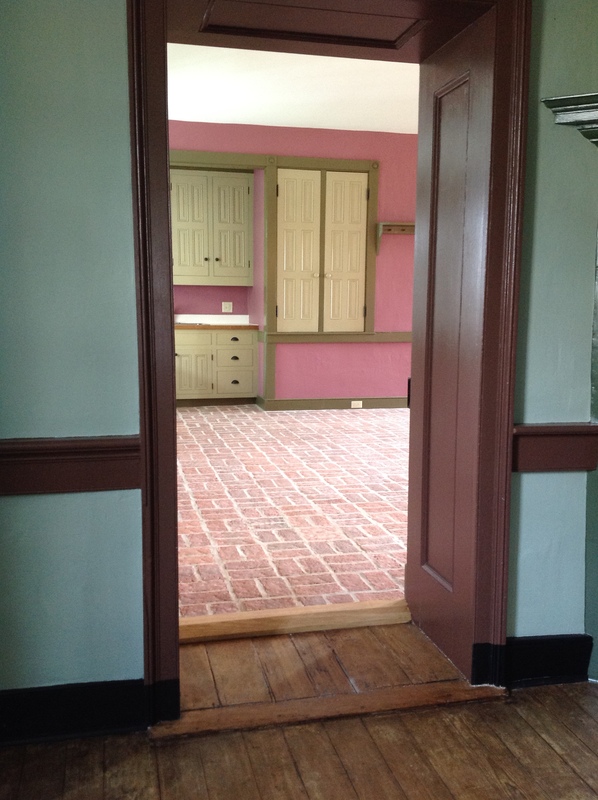 The door molding and wainscoting are both from fences at Harvest moon farm, reclaimed for the house when they were replaced outdoors. 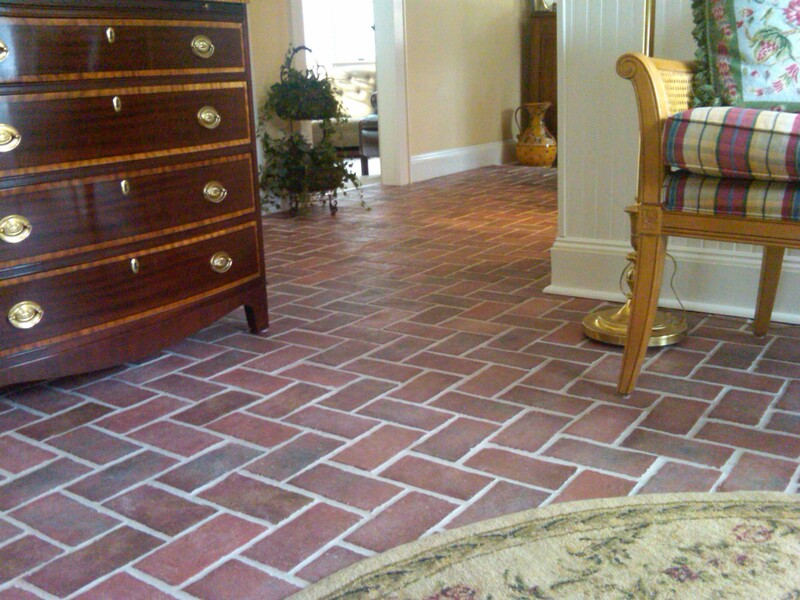 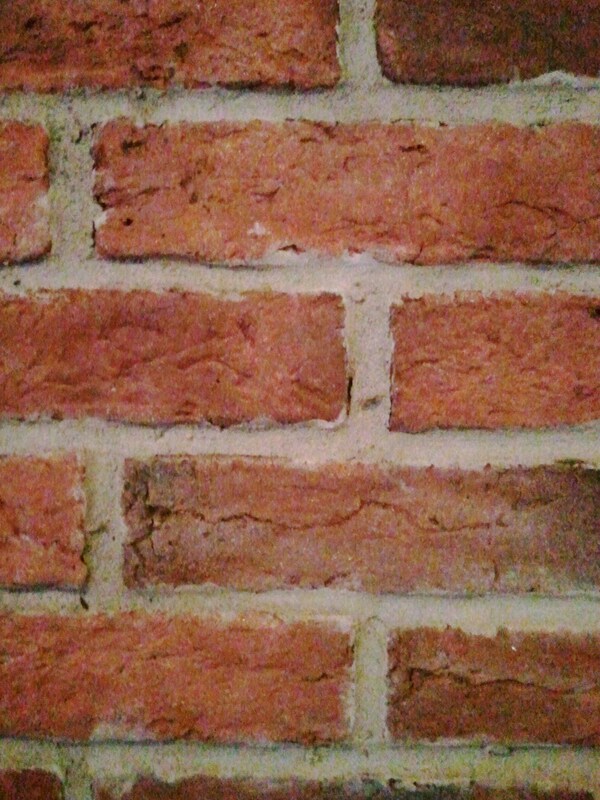 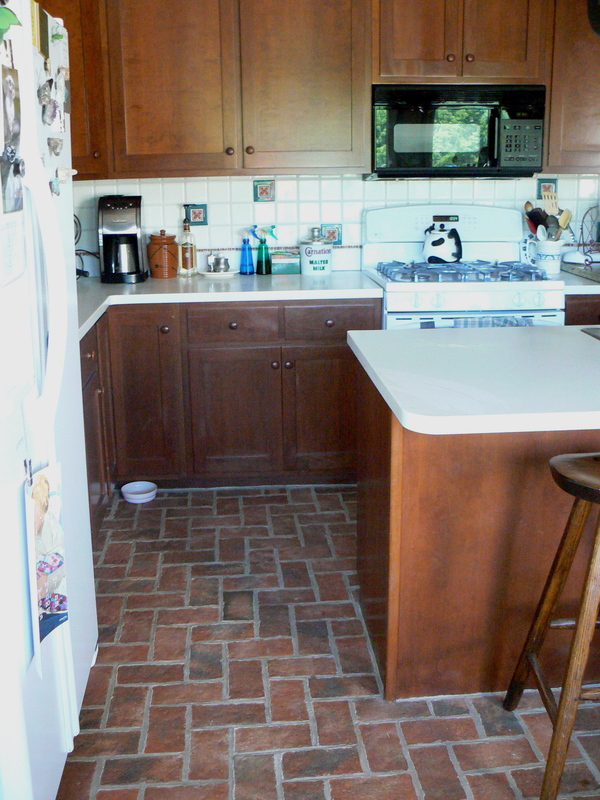 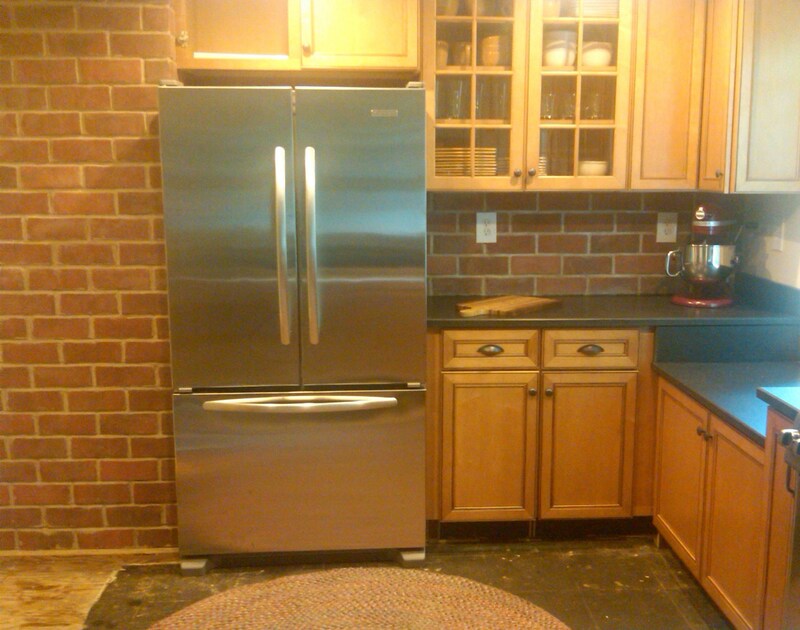 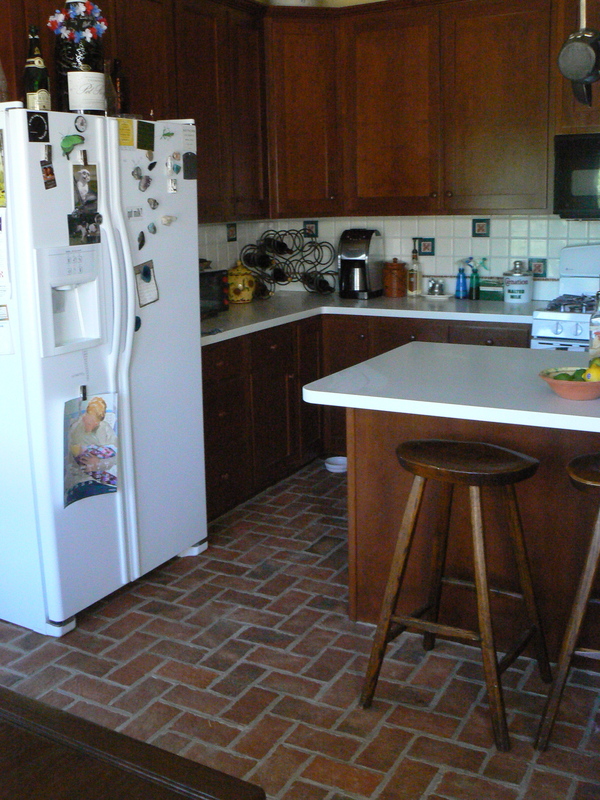 Next, we walk into the kitchen, where Julie admires the thin brick tiles. 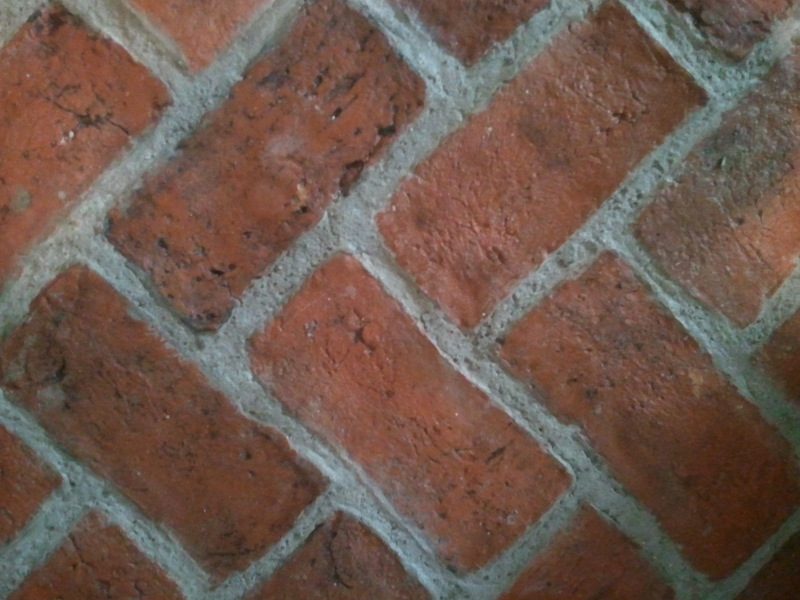 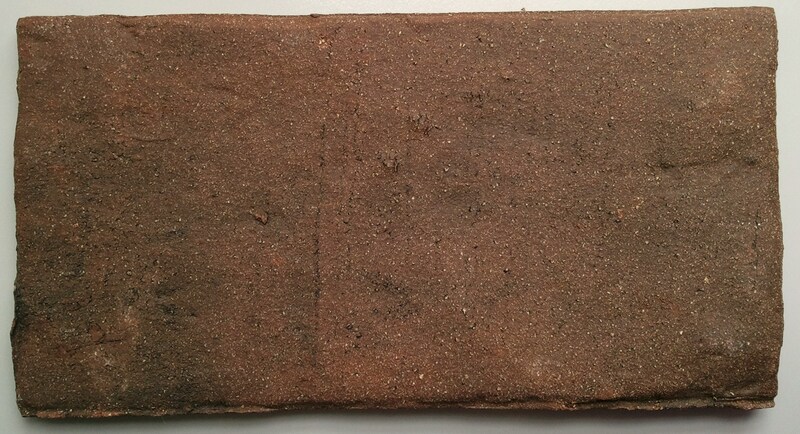 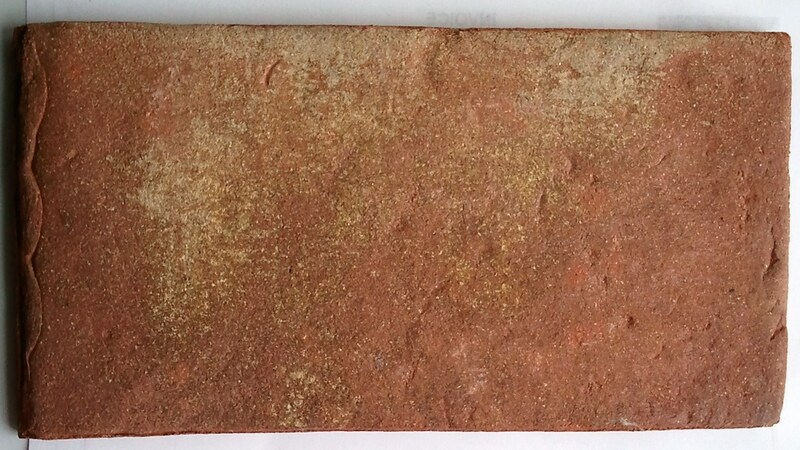 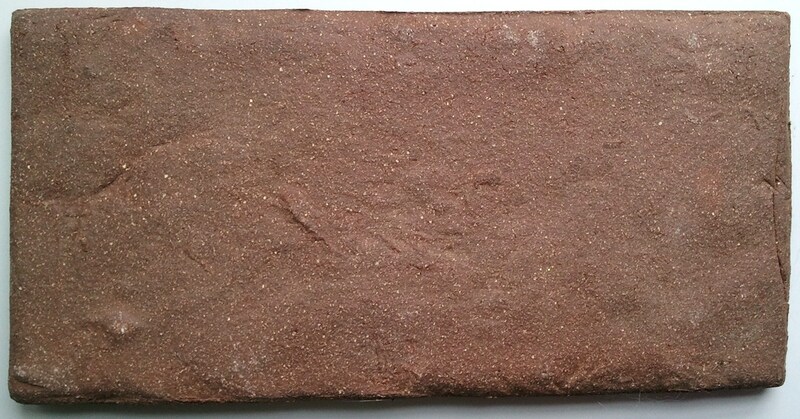 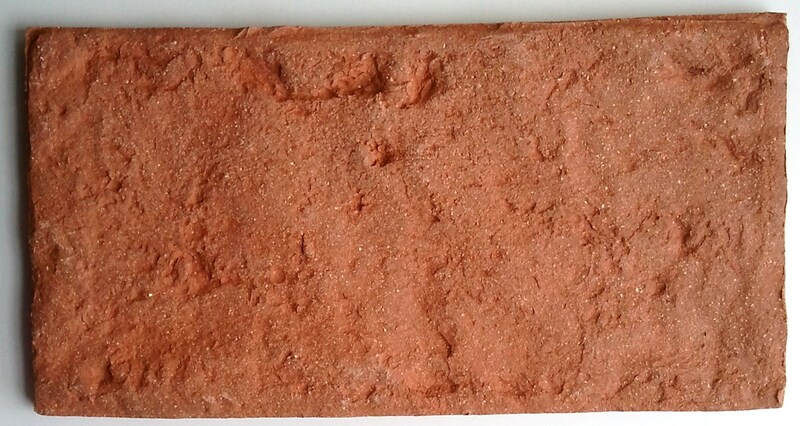 The kitchen table, overlooking the backyard, barn, and pastures and a closeup of our thin brick. 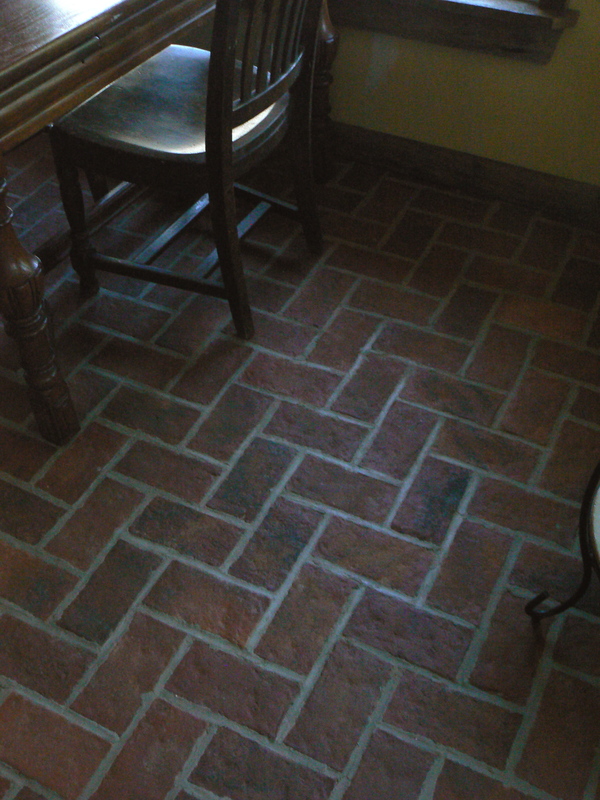 Finally, the transition from the kitchen’s brick tile flooring to the dining room’s wood floor. 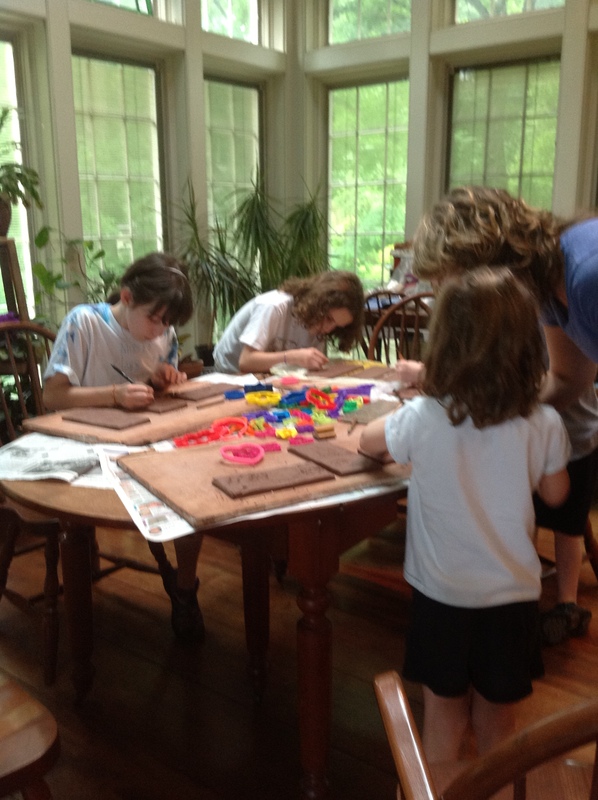 Thank you so much to Walt and Tandy for inviting us to visit your home. 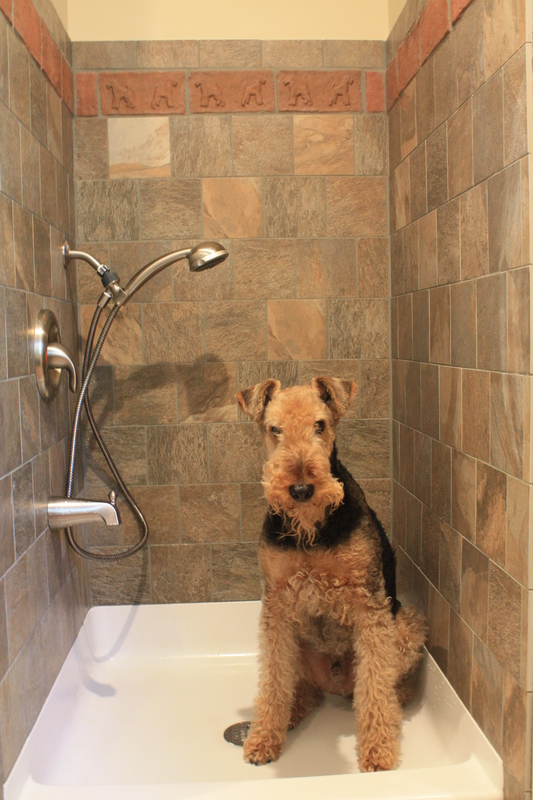 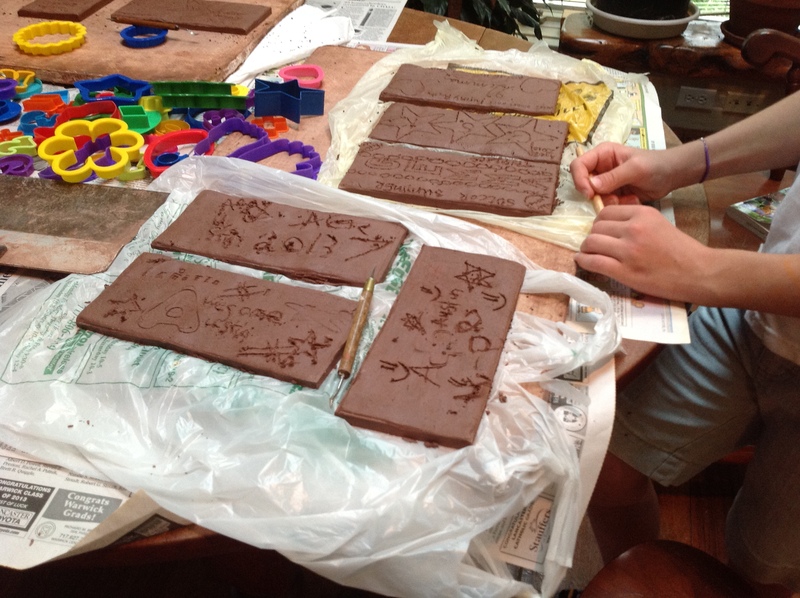 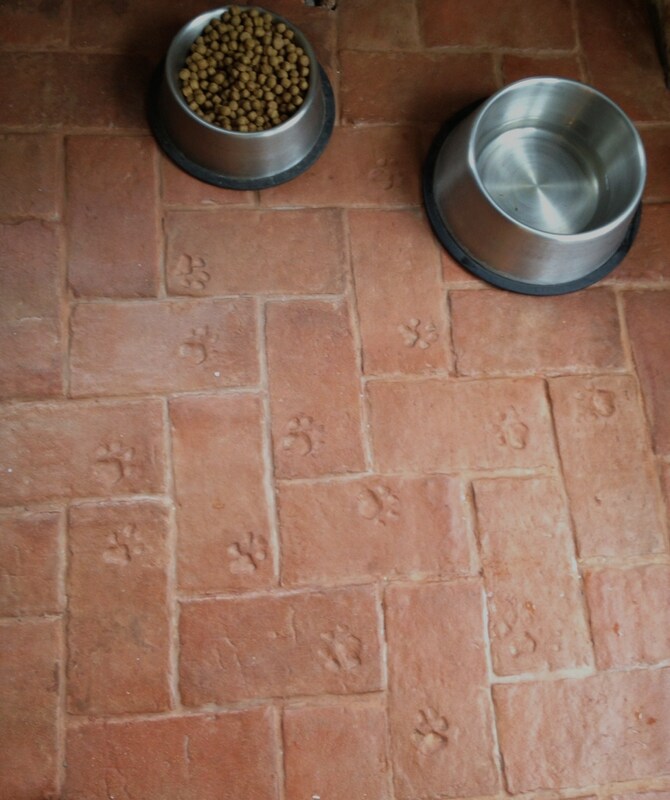 We’re so glad that you are pleased with your Inglenook Tiles!